Members of the Guild will be asked to join in in the protocol of the breeding cycle, the details of which will be shared once they join and a summary of which is outlined here. Each year the focus will be on a different aspect but in all years, good care and cultivation techniques will be required to give the plants the best possible chance to reveal their potential. 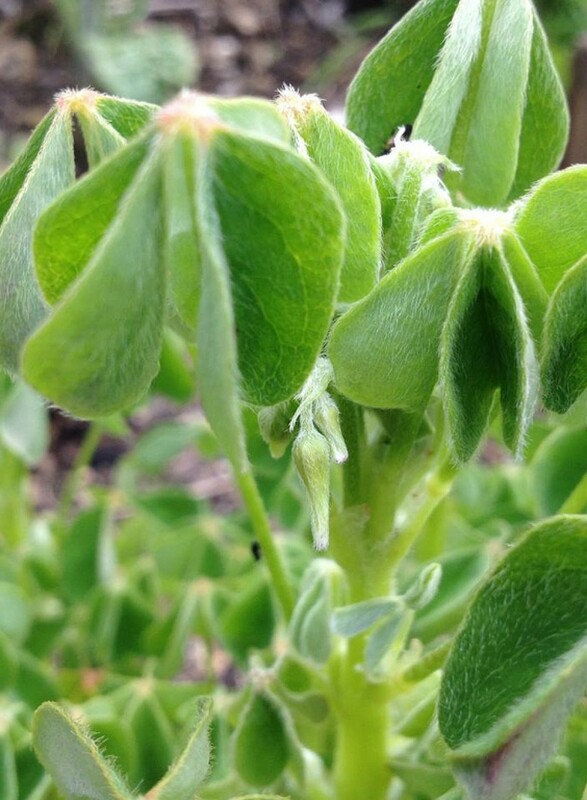 Owen has been working for years on creating a ‘base population’, by growing as wide a range of existing oca varieties as possible together, allowing them to cross-pollinate freely. This maximizes the amount of genetic diversity present in their offspring. At GOB HQ, every year, as a first round of selection, we will sow the seeds from those crosses and grow out the seedlings. 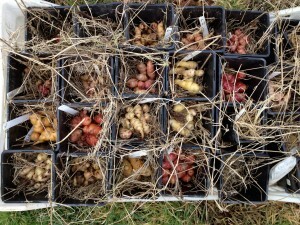 We will harvest the tubers and keep the best (selection) and eliminate the least promising (rogueing). After harvest, the most promising varieties will be distributed as tubers for further evaluation to GOB members under the OSSI pledge. recording and feeding back all the information on the crop(s) they grow and select, through a framework and tools we will provide. The returned material will be multiplied and evaluated against existing varieties for several seasons. GOB members with sufficient space will also be able to take part in this third round. At the end of the trial period, the best varieties will be named and released to the general public under the OSSI pledge. New cycles, with different initial varieties will be initiated every year: hundreds of new seedlings and dozens of tubers from previous seedlings. There’s plenty of opportunity for enthusiastic and dedicated people to get involved in recurrent mass selection! Initially, selection pressure will be quite light, with harvesting occurring as it is currently the norm, at the end of autumn or early winter after the plants have been frosted. After a few cycles of improvement, selection pressure will be increased, so that varieties are, for example, harvested one month earlier than previously, and only those varieties giving a decent yield will be returned for incorporation into the next round of crossing. 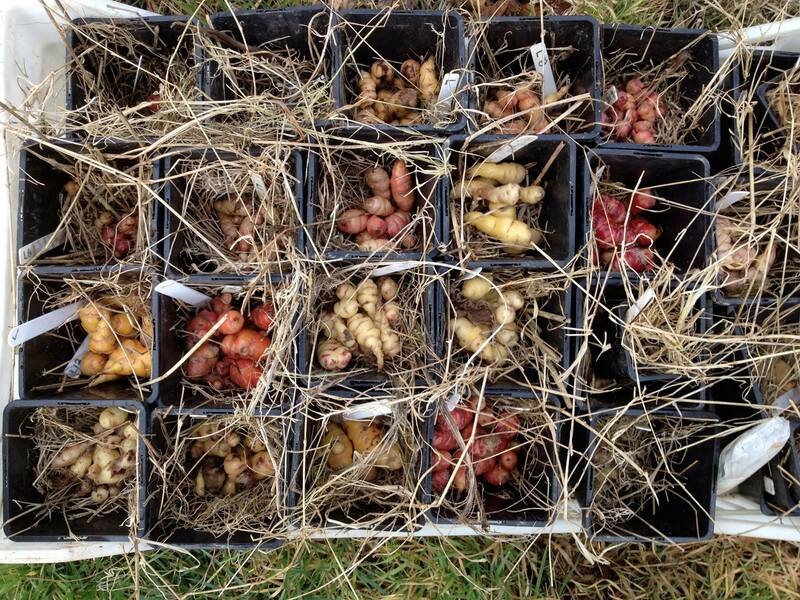 This process will detect any outstandingly early varieties – they’ll have the biggest tubers and the highest yield. In order to maintain the diversity within the population, we will incorporate promising or interesting unrelated varieties, as and when this material becomes available from reputable sources. All the exchange of plant material will comply with plant health regulations and intellectual property law.